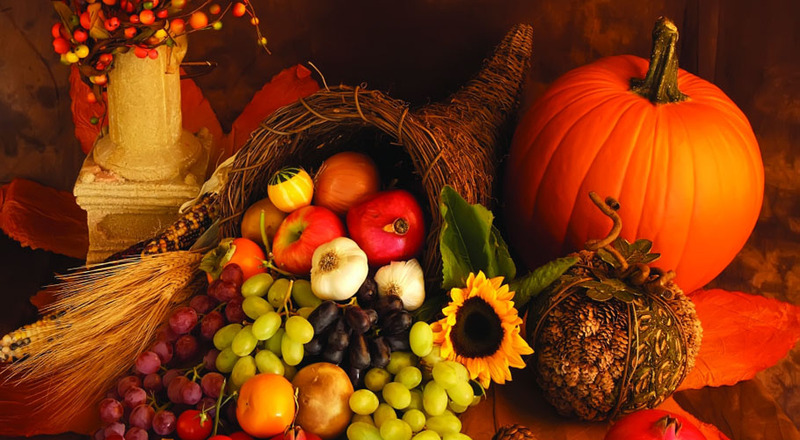 Thanksgiving marks the beginning of the holiday season, and with that comes parties and gatherings galore! This time of year can be tricky when it comes to making healthy choices. With a few simple tips, this holiday season can be as healthy as it is delicious! Make a point to engage in an activity on Thanksgiving to balance your indulgences. Many communities host a “Turkey Trot” or other themed walk/run. Turn your post-holiday meal into a friendly competition by rounding up family and friends for a game of frisbee, football, or even a scavenger hunt. If you want to keep it simple, try taking a walk around your neighborhood. Traditional Thanksgiving recipes can be both delicious and healthy with a few simple modifications. The easiest ingredients to swap in most recipes are butter, sugar, and salt. Fruit purees, including applesauce, make for a great swap for butter. To cut down on added sugar, try adding dates to your recipes for a naturally sweet flavor. Next time your recipe calls for salt, try swapping for salt-free herbs and seasonings. Unsurprisingly, one of the easiest dishes to over-indulge on is dessert. Before diving in, survey the options and choose your favorite! By sticking to one dessert option, you can fully enjoy your selection, contributing to a healthy relationship with sweets and treats. Instead of food being the star of the show, focus on your family, friends, and loved ones. Make it a point to talk to everyone at your feast and try placing your utensils down between each bite. Show “thanks” by taking the initiative to help with set-up and clean-up for the meal! Leftover turkey can be used in sandwiches, on top of salads, in stir fry, and in casseroles! When everyone is dishing out leftovers be sure to take home items that will help the family stay on track. Winter squashes, vegetable dishes, as well as veggie and fruit trays are also ideas! Try these kid friendly recipes for a healthy twist at your Thanksgiving table! 4. With a sharp knife slice every 1/4 to 1/2 inch into sweet potato, making sure to leave about 1 cm above the bottom as to not cut all the way through the potato. Potato should remain whole. Note: Hasselback sweet potatoes can also be enjoyed savory! Experiment with cheeses, green onion, garlic, other veggies, and spices of your choosing!